Sketch of a D&D/Fantasy setting Goblin character I'm working on. Not sure what her name will be as of yet. 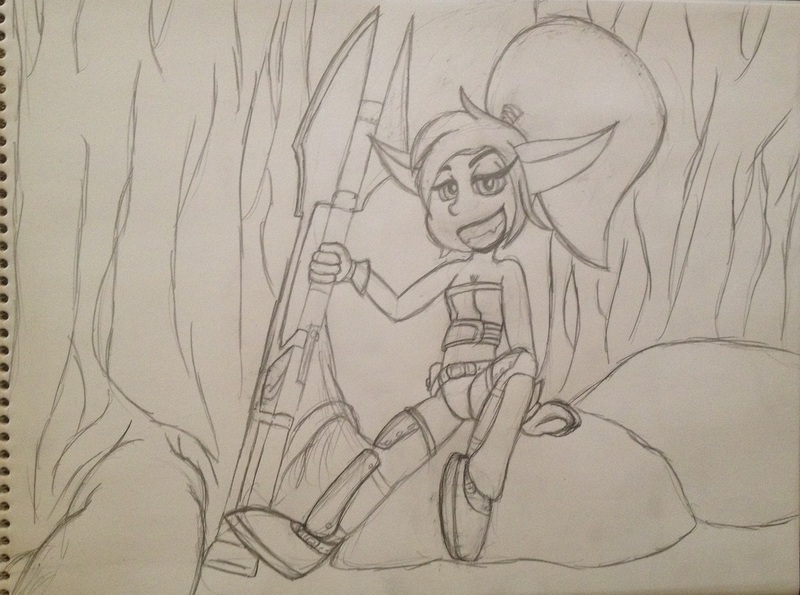 Though he's conceptualized as a Goblin, I imagine she could just as easily be a Yordle if I ever used her for some League of Legends rp/fan thing. Anywho, don't generally post my sketches like this but I liked how this one turned out too much not to.